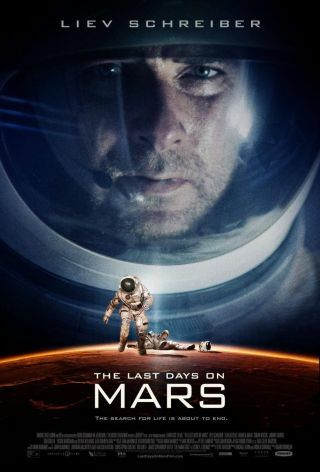 The poster for the new movie 'The Last Days on Mars,' set for release in the United States on Dec. 6. A new movie starring Liev Schreiber may be a great combination of true terror and fictional spaceflight. "The Last Days On Mars," set for limited theatrical release in the United States on Dec. 6, follows a band of astronauts during an ill-fated mission to a base on Mars. In the words of the movie's tagline, "the search for life is about to end." Impatient for the movie to get into theaters? "The Last Days On Mars" will be available through video on demand on Oct. 31. How do you think this new space movie looks? Let us know in the comments.